‘It&apos;s disappointing, and I hope it&apos;s a slip of the tongue and she doesn&apos;t mean it, but she said it. 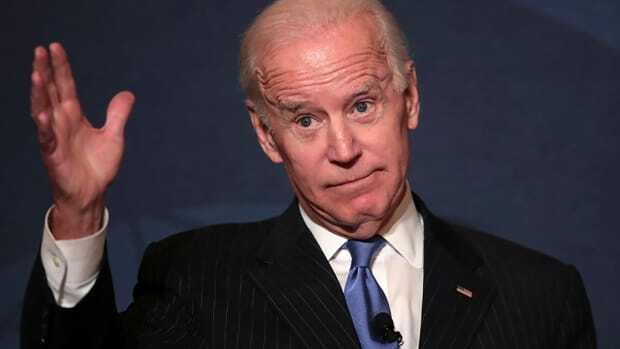 It was reported she said that she likes to visit, quote, pro-American parts of the country,’ said Biden, leading into a lengthy dissection of the remarks. This so much reminds me of how George Bush in 2004 took great pains to attack Massachusetts since Kerry is from there - as if Massachusetts isn&apos;t one of the states George Bush is president of.